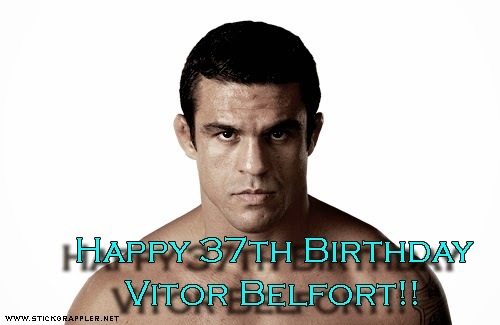 Happy 37th Birthday Vitor Belfort!! Today marks the 37th birthday of Vitor Belfort! Posting some videos and 1 animated GIF I made in his honor! Parabens, feliz aniversario Vitor Belfort!! Happy 67th Birthday Kareem Abdul-Jabbar! Today would've been Donn Draeger's 92nd birthday! Happy 39th Birthday Anderson Silva!! Happy 31st Birthday Ben Saunders! !